"Your delightful experience is our goal"
My wife Heidi and I immigrated to Australia in 2003 and settled in Perth. As we had travelled this continent a few times over the last 25 years, we had already quite some knowledge about it. 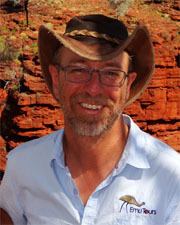 Over the approximate 10 years I have been guiding tours in this great country I collected lots of experiences. My freelancers are all top guides. My greatest goal is to provide you with a perfect service. After seven years as co-owner of a tour operator business I have established my own company Emu Tours. Emu Tours is a family business spezialized in small groups German guided. 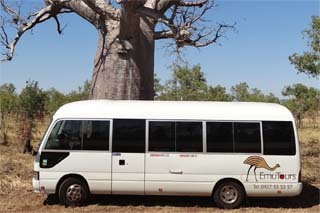 They offer tours in Western Australien and the Northern Territory with lengths between 7 and 18 days. These offers focus on guests from German speaking Europe who want to taste the "real" Australia in comfort. We choose our travel routes, accommodation and restaurants with great diligence. 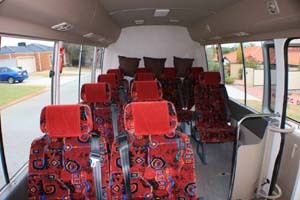 We put all our long years' experience into the refurbishment of our bus. 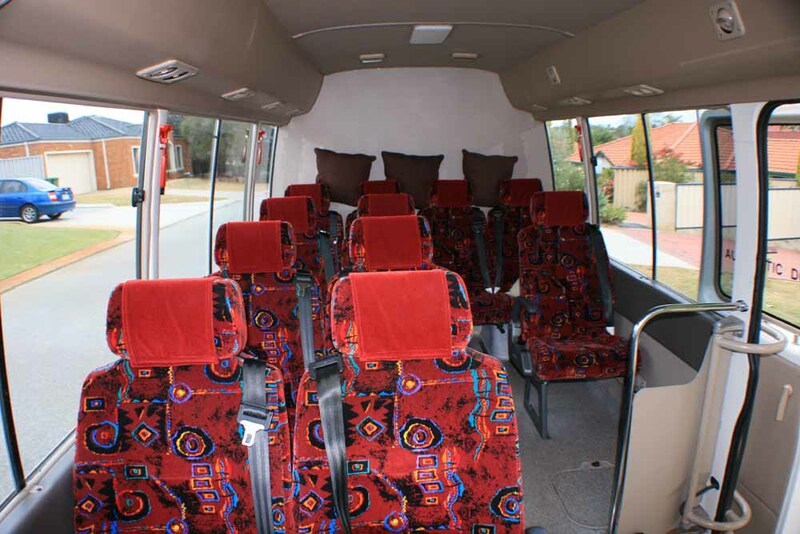 We downsized it from a 21-seater to a 13-seater which makes it very comfortable. At the rear, separated by a wall, there is a luggage compartment and the biggest Engel fridge available, powered by an extra set of batteries. A huge extra diesel tank lets us drive for a long distance without the need to refill. Our Terms & Conditions are available as PDF file. To download the Terms & Condiation please press here.